ARDEX Butynol® is a synthetic rubber membrane with properties which resist ageing from heat, sunlight and ozone. The BRANZ appraised product protects against water, moisture vapour, gases, sun, ozone, frost, acids, chemicals and bacteria. Butynol resists tearing, flex cracking, bubbling and abrasion. It is extremely strong, has a long life and is versatile. 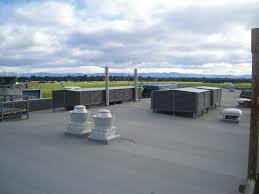 Typical applications are roof membranes, external balconies and decks (protected) gutter linings, water containment (i.e. pillow tanks, reservoirs, pond liners), below grade applications. The product comes in three standard thicknesses, and can be manufactured in a range of environmentally sensitive colours and gauges to suit every situation. The 1.0mm thickness is designed for use on roofs and gutters, and will accommodate light traffic. The 1.5mm is for walk out decks and high maintenance areas. The 2.25mm is a heavy duty product that is custom made on request. When laid by an approved applicator in accordance with Ardex’s specifications, you are covered by material warranty for up to 20 years (covering the Membrane, adhesive and tape). Kingfisher Plumbing are accredited applicators for the Ardex range of waterproofing products. For more information on Butynol, please visit their website.